Fish presents somewhat of a quandary for me....I am terribly intimidated to cook it for several reasons. 1) How do I know when it is done without tearing it to shreds peaking inside? 2) I was born completely devoid of anything even resembling patience so when people say not to touch it until it doesn't stick to the pan to flip it, I cannot help myself, I have to scoot it, I have to flip it way too many times, I just HAVE TO! What brought me to try this recipe you might ask? Well, first of all my dad had made it one night and claimed it was amazing so I had it in the back of my mind as something that would be tasty. Also, the guy who works the fish counter at the farmer's market is quite possibly the most attractive man I have ever seen and I would have bought ANYTHING he was selling. Seriously, my cousin and I were standing there basically with our tongues hanging out of our mouths drooling! Sooooooo dreamy! 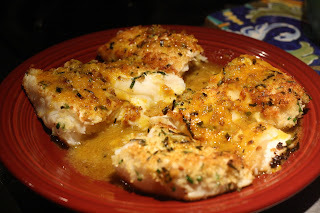 He claimed the halibut was great, so I was quickly begging for several filets, all the while throwing elbows at my cousin trying to get in front and saying loudly, and clearly, that the little boy hanging on to my leg was my NEPHEW not my kid! 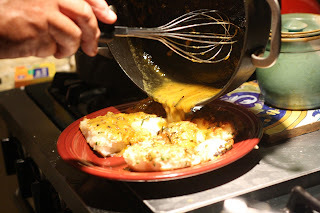 Back to the fish....It's delicious....Period! 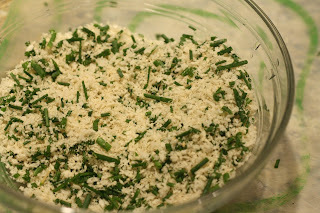 Mix the bread crumbs and chives together in a rimmed dish. Season with salt and pepper. 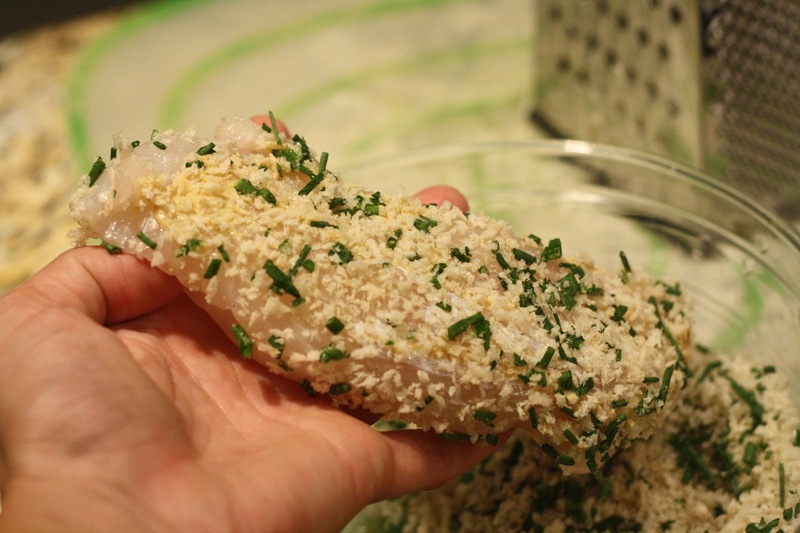 Season the fish with salt. 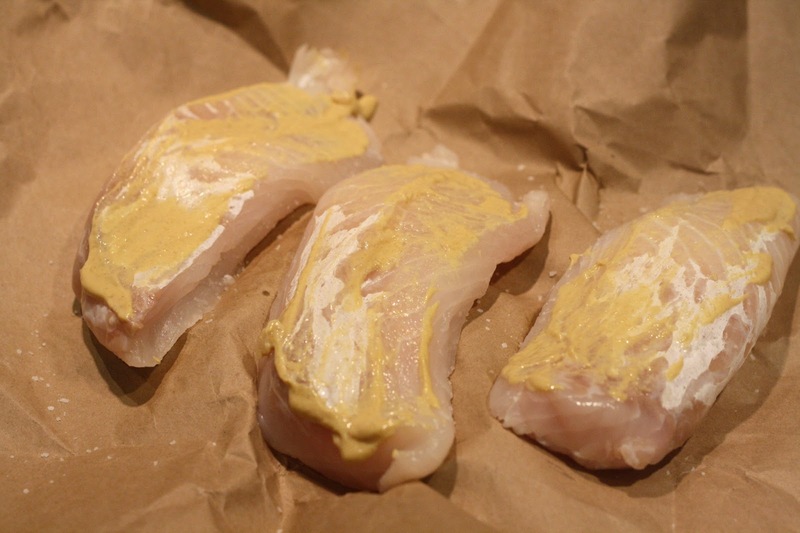 Spread dijon mustard on the bottom (skin side) of each filet. 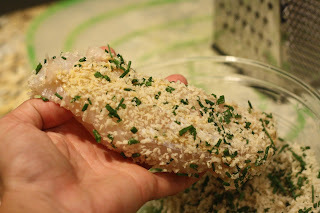 Dredge the mustard-coated side in the bread crumb mixture. Heat a large non-stick skillet over medium-high. 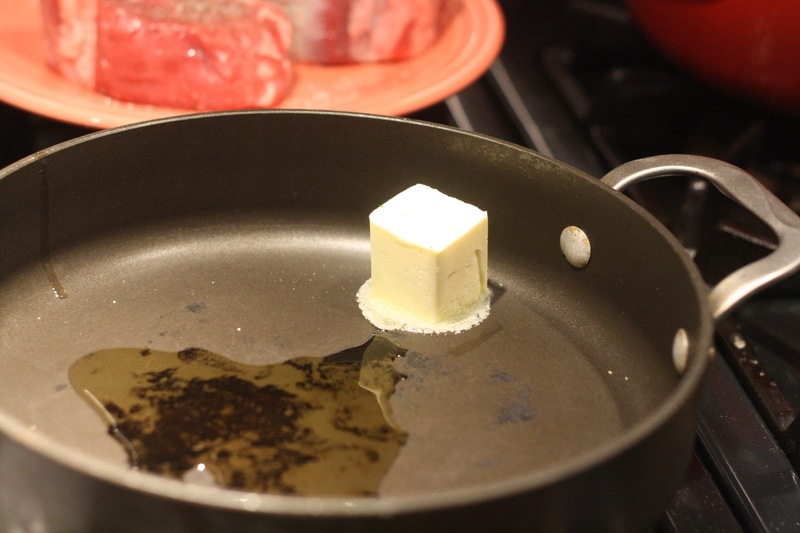 Melt 3 tablespoons of butter along with 3 tablespoons of olive oil. 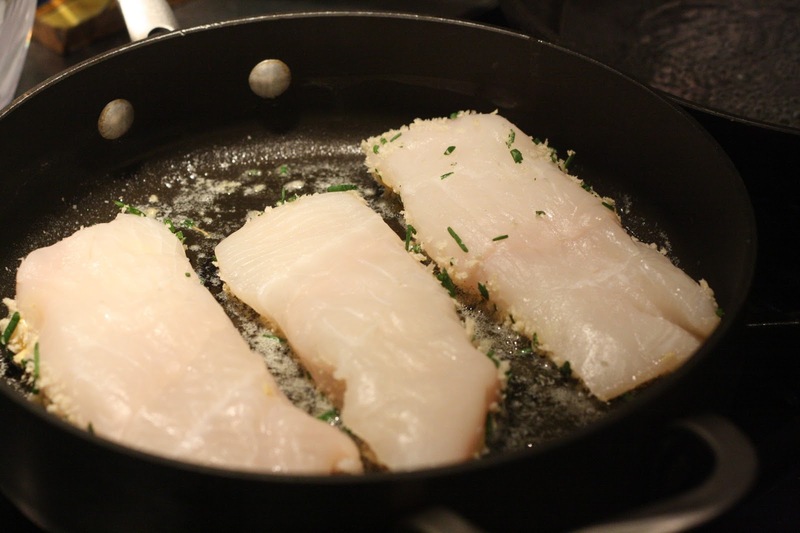 Once smoking, add the halibut breaded side down. Cook for 2 to 3 minutes or until golden. 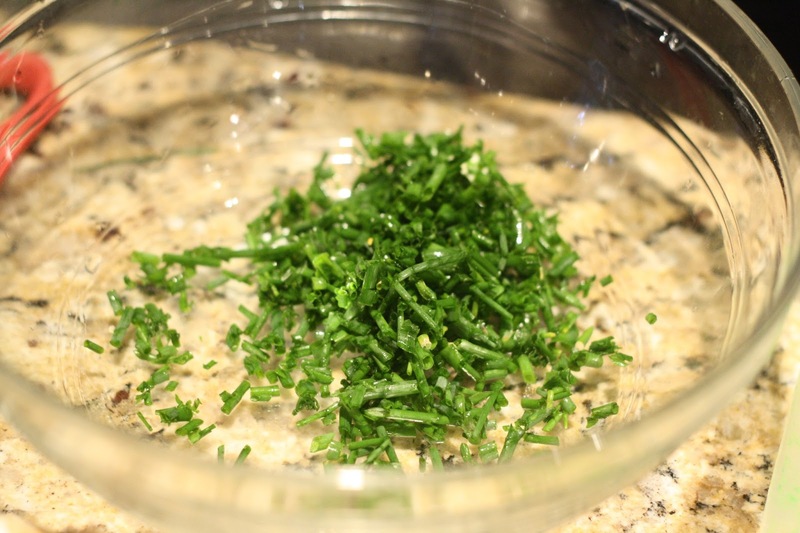 Gently flip and cook on the second side for 1 to 2 minutes. 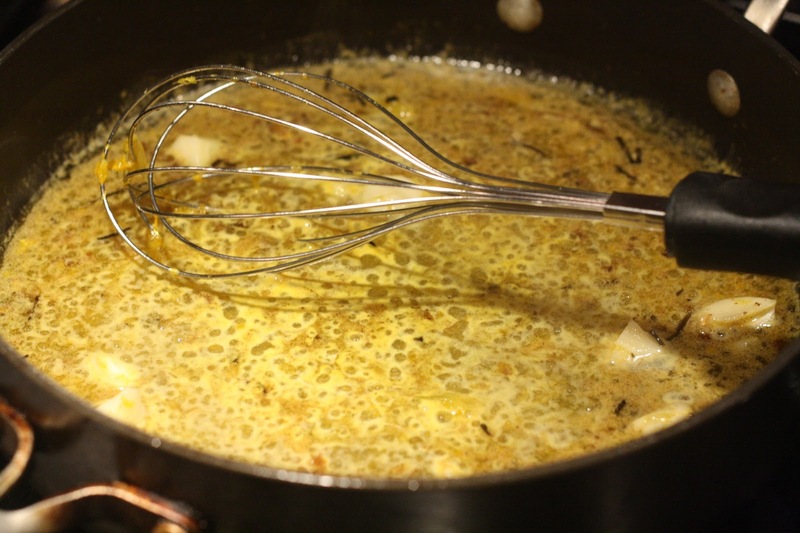 Add the white wine and garlic and reduce by a third. Add the orange juice and zest and then add the remaining butter. 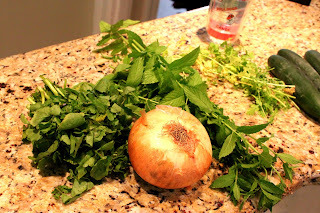 Remove the garlic cloves and discard. Serve the filet breaded side up with a drizzle of butter sauce. H! Your recipe looks delish! But I have a question. 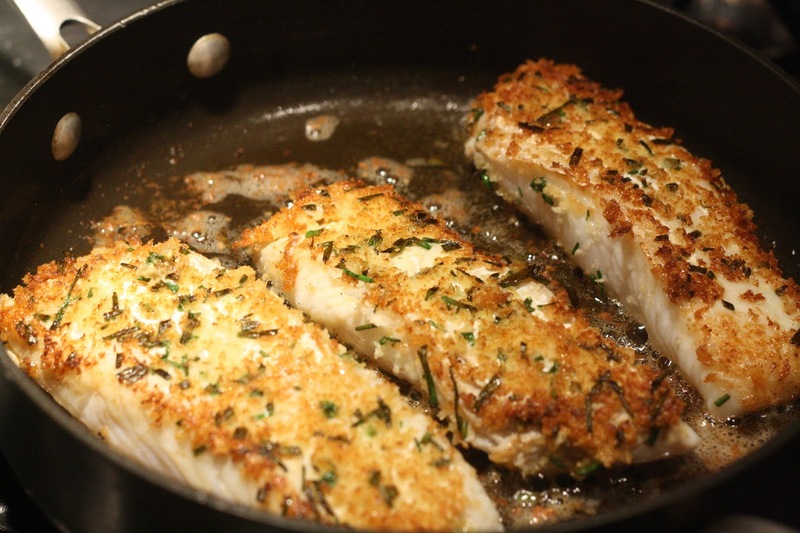 Do you add the wine & garlic to the fish or in its own pan? Thanks! It really is tasty!!! After I remove the fish from the pan I add the wine and garlic then. Let me know if you have any other questions! Thanks so much for reading!